(GG/GCA) (Monterey, CA) 1980 - 1981. Photos. Framable Color Prints and Posters. Digital Sharp Images. Aviation Gifts. Slide Shows. 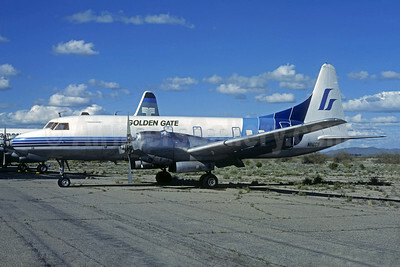 Golden Gate Airlines Convair 580 N116GS (msn 2) (Gem State colors) MZJ (Christian Volpati Collection). Image: 936711.